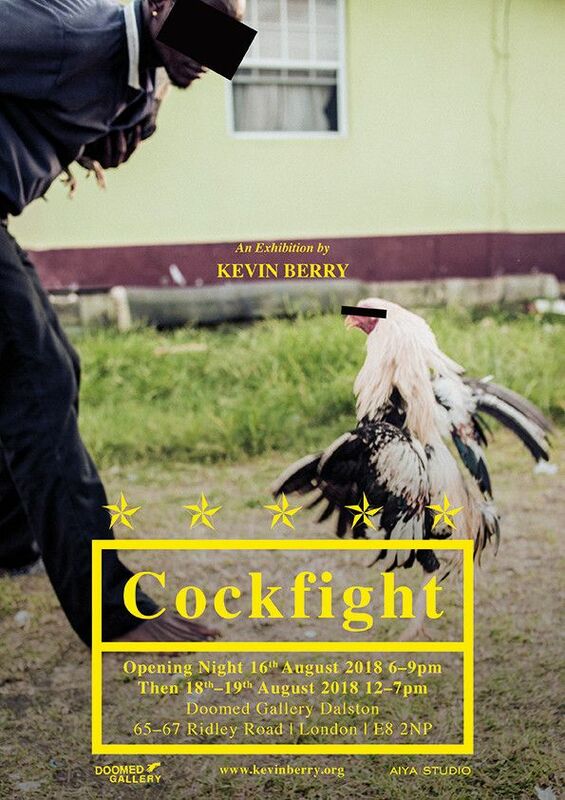 Artist and photographer Kevin Berry’s debut solo exhibition simply titled ‘Cockfight’ delves into the murky world of cockfighting, an ancient bloodsport that has been banned in most countries yet is still hugely popular and widely practiced in some parts of the world. Whilst in the Caribbean, the artist met individuals who raise and train gamecocks to fight to the death. 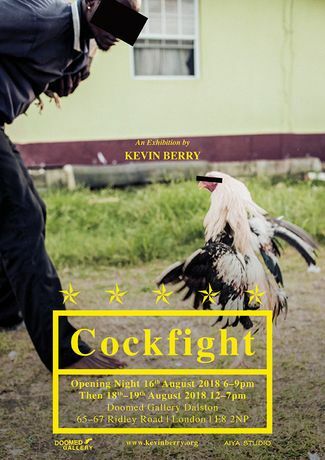 In their culture, cockfighting is a way of life, it is normalised. It’s a way to earn extra income, it’ssomething that brings communities together. It is something to be proud of when you don’t have much to go on. Allowing Kevin full access to freely document and witness the pre-season training regimes that go into raising prize-winning gamecocks, the exhibition offers an impartial insight into the grey world of a now largely illegal spectator bloodsport; an activity that dates back some 6,000 years and was once distinctly popular in both British and European culture.